Stylish Star Allu Arjun and wizard of words Trivikram Srinivas are joining hands to recreate the magic and complete a hat-trick. 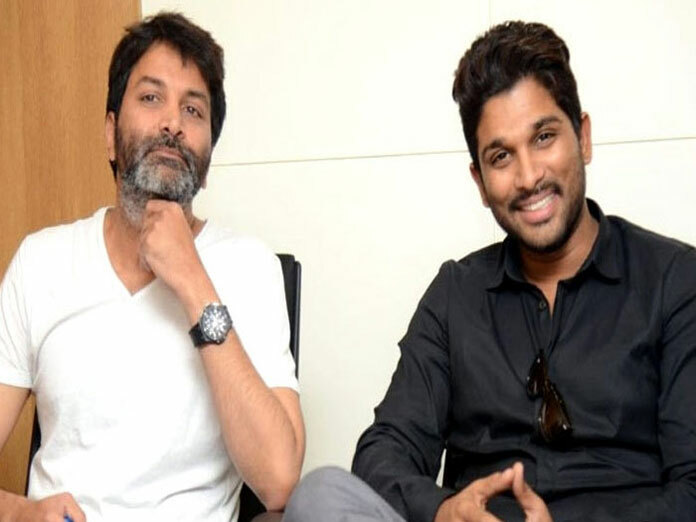 It is known that the duo earlier joined hands to score hits like Julaayi and S/O Satyamurthy. The project was launched in style couple of days back and for quite some time various rumors are spreading about the film’s storyline and the title. According to them, the film is titled Naanna Nenu and the story highlights the father - son emotional bonding. This triggered speculation that the duo is continuing from where they left with the father - son bonding in S/O Satyamurthy. Bunny is romancing Pooja Hegde in the film. Now inside talk is Bunny considering the similarities, suggested few changes in the script. As such instead of father-son sentiment, the story will now have mother-son sentiment. Trivikram even suggested the title Alakananda. That was the reason the makers roped in yesteryear heroine Tabu who will be playing the role of Bunny’s mother. The film also stars Satyaraj, Rajendra Prasad, Sushanth and Navadeep in important roles.